【CLEAN UP IN 60 SECONDS】 As easy to clean up as it is to use! 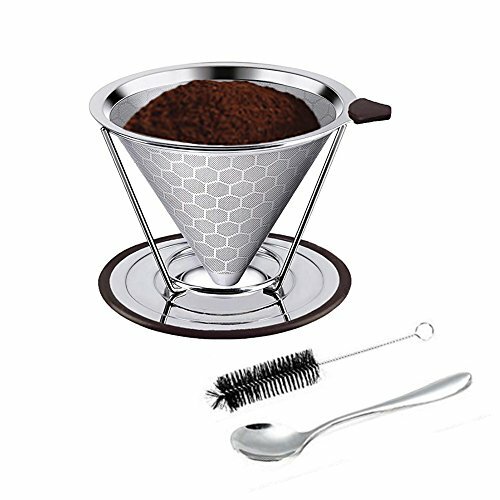 Just scoop out the used grounds from your stainless steel coffee dripper, rinse the fine high-quality mesh filter under warm running water and dry thoroughly after use. Every 2-3 weeks descale with a solution of vinegar and water. If you have any questions about this product by AINOK, contact us by completing and submitting the form below. If you are looking for a specif part number, please include it with your message.